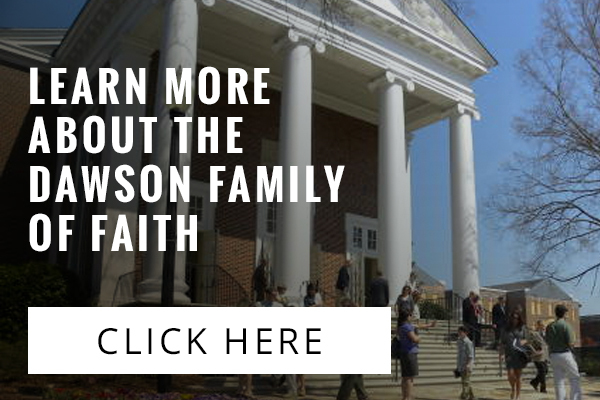 The Dawson Family of Faith is located at 1114 Oxmoor Road in Homewood just south of Birmingham, Alabama. From 1-65, take Exit 256 and travel East 1.3 miles. From Highway 31, turn onto Oxmoor Road in Homewood and travel West 1.2 miles.